Mixed berries and cream popsicles are a spin on the traditional fresas con crema, loved all over Mexico. This version incorporates blackberries, raspberries and blueberries, in addition to strawberries. My fresas con crema popsicles are some of the most popular paletas on the blog, and with good reason: they’re the perfect way to enjoy summer berries! I created this version with mixed berries a few years ago and loved the way it came out. It’s similar, but different enough that you get a different flavor palate with all the berries. The best way to get these berries to bloom with flavor is to macerate them. Similar to the way I macerate sliced strawberries with sugar for my fresas con crema popsicles, we’ll macerate the berries in this recipe, too, with one key difference. It’s essential to break some of the blackberries, blueberries and raspberries while macerating them, otherwise you won’t get much berry juice. I gently break the berries with a potato masher, but you can also use a fork or other kitchen tool. Remember: you want broken berries that will hold their shape, but ooze some juice. You don’t want berry pulp. A couple of acknowledgements here: Blueberries are not all that common to find in some parts of Mexico, despite the fact that Mexico grows a lot of the blueberries eaten in the U.S. If you’re not a blueberry-lover, you can sub in more blackberries (called zarzamoras in Spanish). These popsicles are heavy on the dairy, and they don’t translate well with coconut cream (vegans and non-dairy folks who like to make substitutions, be warned, you won’t get the same results). If you don’t eat dairy, I’d suggest making strawberry hibiscus popsicles instead to avoid tummy troubles. And if you REALLY like blackberries and can tolerate sweetened condensed milk, you might want to try my Oaxacan horchata popsicles, which have blackberries and cantaloupe in them—just like you’d float on top of the drink. 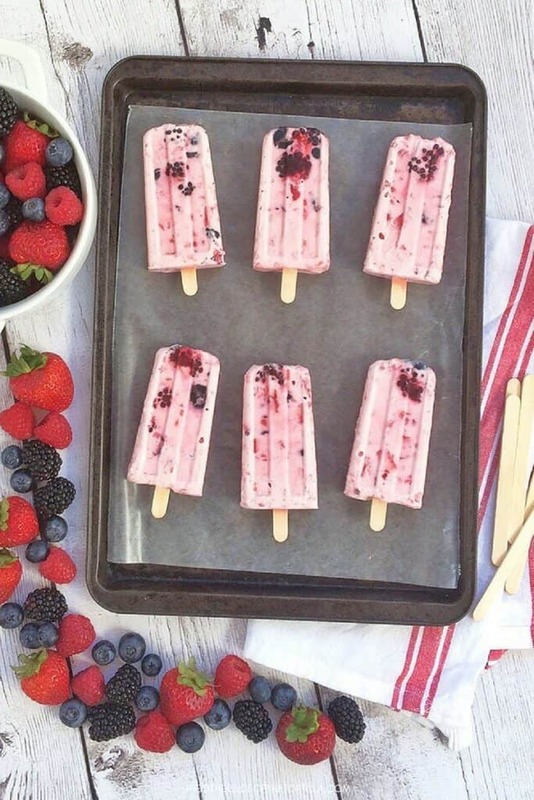 During the warmest months of the year, I suggest freezing these berries and cream popsicles completely overnight before serving so they aren’t quick to melt in the heat. 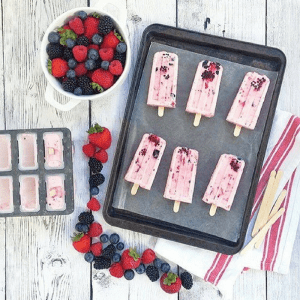 Similiar to the popular fresas con crema dessert, this version uses a mix of summer berries for a spectacular berries and cream popsicle you'll make again and again. Wash all berries, pat dry, and remove strawberry stems. Chop 2/3 cup strawberries (about 4-6 large strawberries) and add to a glass bowl. Place blueberries, blackberries and raspberries in the glass bowl and break some of the berries slightly with a potato masher to release their juices. Mix the berries gently with a spoon and sprinkle with 1/2 cup sugar. Stir to make sure all the berries are coated, then allow the berries to sit undisturbed for 20 minutes to macerate and draw out the juices. Use a spatula to fold the whipped cream into the macerated berries, being careful not to over-mix and cause the whipped cream to go flat. Spoon into a popsicle mold, add sticks and freeze for 8 hours or overnight. To remove popsicles from mold, gently run lukewarm water over the bottom edges of the popsicle mold for a few minutes to loosen them. If you want to cut some of the fat and calories, you can substitute regular whipping cream for the heavy whipping cream without losing much of the creamy taste. If you’ve ever struggled with finding a ripe avocado in the grocery store, here are my foolproof tips to make sure you never buy unripe avocados by mistake again. Avocado is a very versatile ingredient in Mexican cuisine. And although most people think of avocado just as a savory ingredient, you can use it for sweet recipes, too. 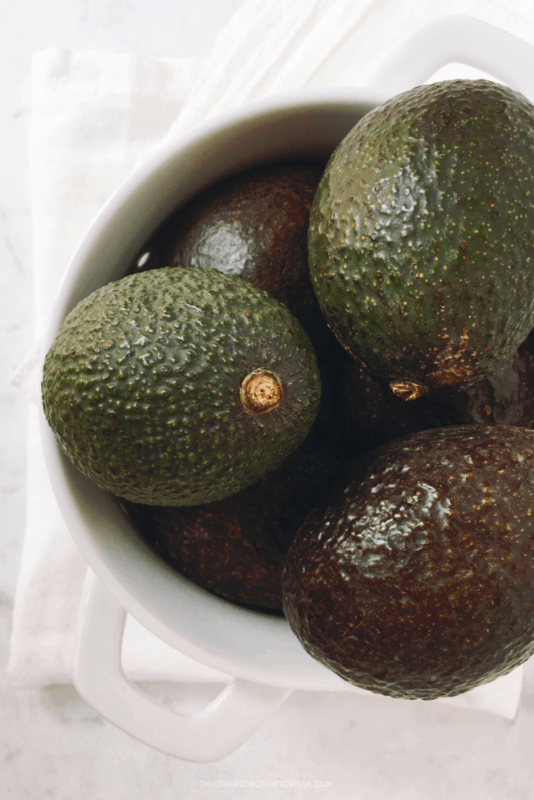 Aside from typical recipes like guacamole and salsa verde with avocado, this fruit is also great for making avocado paletas, avocado fudge pops, and avocado chocolate pudding. With so many potential uses, you’ll want to ensure you always have avocados on hand. But when it comes to choosing a ripe Haas avocado, there are a few cardinal rules to follow. Evaluate the avocado’s skin color and texture, and remove the stem to determine ripeness. Squeeze the avocado. There’s a difference between using your fingers to gently feel if the skin gives—indicating softness—and squeezing it, which can damage the flesh inside, and in some cases, break the outer skin. Put avocado in the refrigerator before they’re ripened. The recipe couldn’t be simpler: boil water and add the flowers until the water turns pink, then add Mexican lime juice (key limes) and honey. Some people like to add a little Mexican cinnamon stick to theirs as well, but I prefer my tea without it. 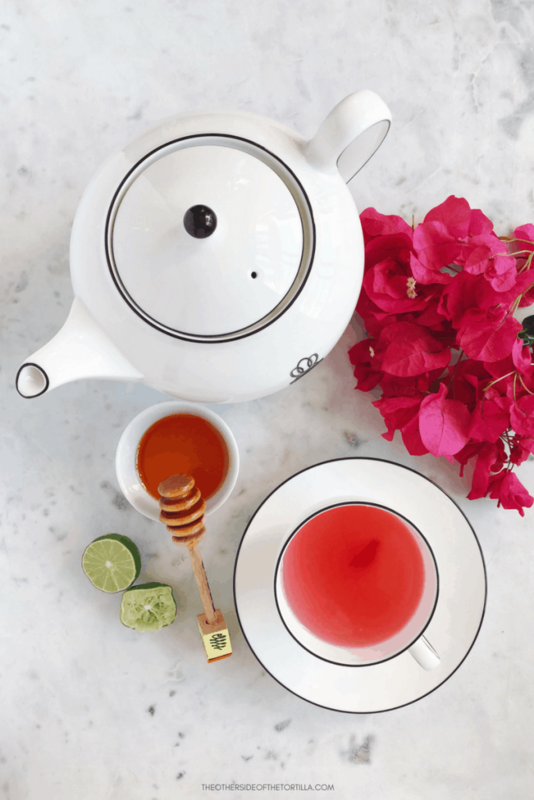 Add slightly more honey if your throat is particularly sore…. 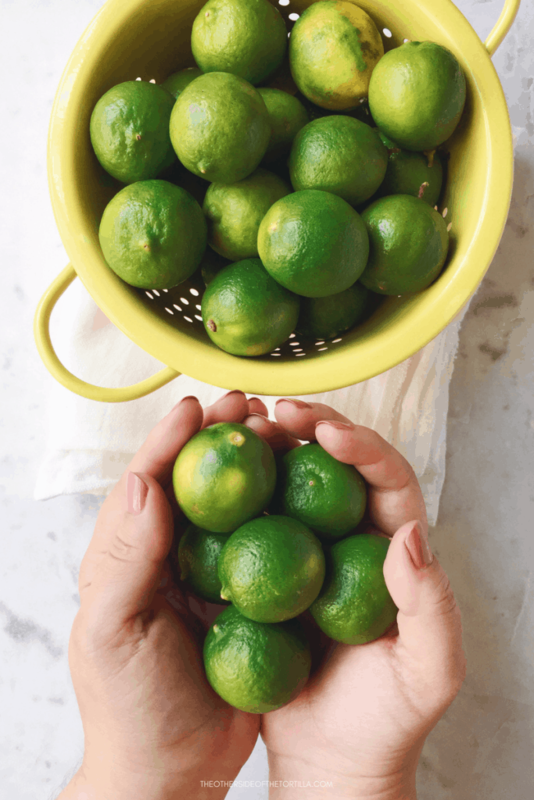 Mexican limes are widely used in the cuisine and offer a bright, acidic touch to food and beverages. All limes pictured in this post are Mexican limes. Lime juice is an indispensable part of Mexican cuisine. It’s used in everything from beverages to dressing ceviche, soups, salads, fruit and vegetables, meats, in desserts and more. And it’s not just the juice; lime zest also makes its way into plenty Mexican recipes as well. The limón chico (also known as limoncito or limón de Colima) is what most people think of when they think of Mexican limes. They generally measure between 2.5 and 5 centimeters in diameter, are more round (rather than oval) with thin, bright green skin, greenish-yellow pulp, have small seeds, and a very acidic flavor. As they age, the skin turns yellow and the flavor bitter when they’re over-ripened. Known as limón grande or limón sin semilla, the larger Mexican limes do not have seeds…. Guisados is a family-owned restaurant that serves tacos stuffed with homestyle braises such as tinga de pollo, chuleta en chile verde, and cochinita pibil, and is one of my favorite Mexican restaurants in LA. The term “guisado” literally means “stewed” and usually follows a formula of meat (most typical are pork, beef or chicken) braised in a salsa made with chiles, tomatoes or tomatillos, spices and herbs, and sometimes vegetables. The type of chiles, spices and meat combinations used vary according to region and family recipes. 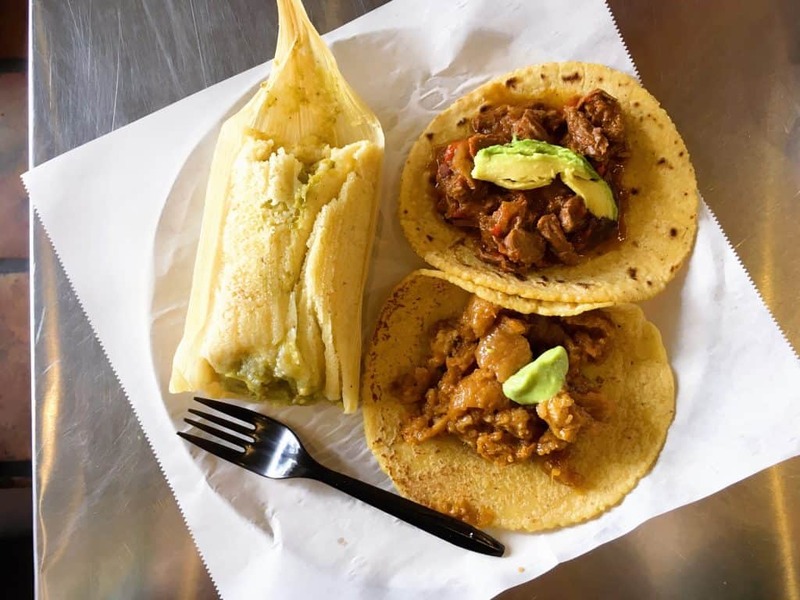 You really can’t go wrong with anything on the menu at Guisados. However, if you’re indecisive and want to try several kinds, the best deal is to order the sampler that comes with six small tacos….